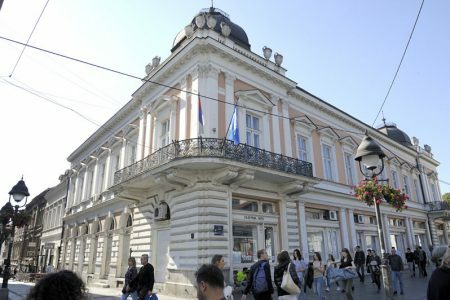 The rich history of the building where the administration of the Faculty of Fine Arts is presently located, in the core of the urban structure of old Belgrade, built around 1885 for the distinguished attorney Marko Stojanović, has so far primarily attracted the attention of the historians of architecture, as a part of the opus of its architect Konstantin Jovanović. Although certainly one of the most important heritological aspects that this building carries as a cultural monument, its architectural artistic value is far from being the only one deserving scientific attention in the long history of its existence. The conference will focus on the historical identity of the building understood in the widest sense. Historical and artistic reflections on the architectural features of the building, its place and analogies in the architecture of historicism and academism at the end of the 19th century in the urban areas of Serbia, the region and central Europe, are just some of the topics that this conference would like to launch. We suggest (but by no means limit) other possible aspects of research: the primary conception of the building as a private home of a prominent city family, but also as a political stage – the history of the people and ideas under its roof, the purpose of the building as the headquarters of the Faculty of Fine Arts (FLU), including a number of research opportunities highlighting the various aspects of the capital’s cultural life since the Second World War to date, from all the existing mainstreams to the underground culture. FLU’s artistic and pedagogical heritage is also directly linked to this building and its location in the city center. It is also important to investigate the heritological aspects of its identity, as well as urbanistic reflections on the future of the building, both in terms of its purpose and function, and its aesthetics, within a vital urban structure that is rapidly changing. It is also possible to take up other topics, i.e. those that gravitate towards the role of the building and the institution it houses, from sociological, historiographic and biographical issues, to different topics in the fields of artistic pedagogy and psychology of creativity. The Organizing committee especially encourages doctoral students and younger researchers to participate in the conference.